More than 20 years ago, archaeologists found two children buried deep under Frankfurt's cathedral – and two decades of research have left them with more questions than answers about the medieval history of Germany's financial capital. 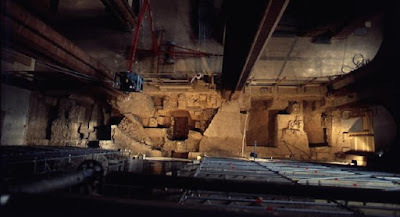 The 1992 find of a double grave during excavations at the Bartholomaeuskirche – generally known as the Frankfurt cathedral – wowed historians. 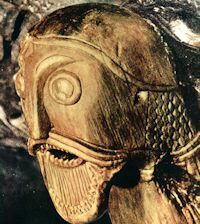 Two children around four years old, one dressed and bejewelled in the style of Merovingian nobility – the kings who ruled the Franks (Germanic tribes) of western Europe in the early Middle Ages – and one cremated in a bearskin according to Scandinavian custom, were found buried in a single coffin under the cathedral. 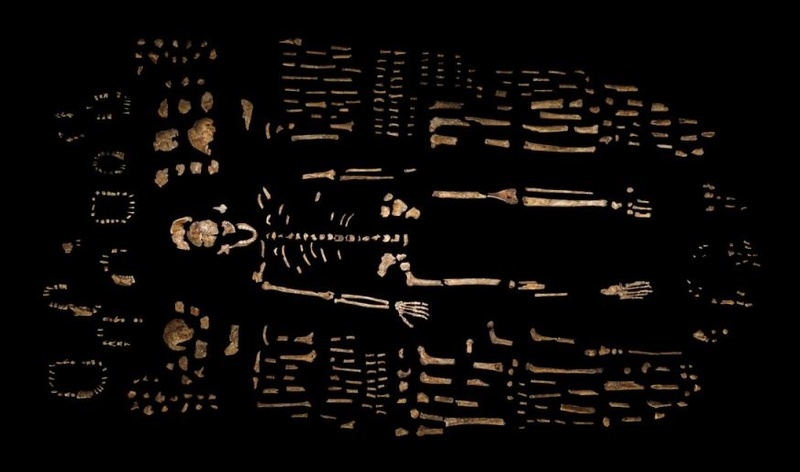 Twenty years later, archaeologists have released the results of their scientific investigation of the remains and the grave site. The remains of a 5,000-year-old adobe basament of a possible “throne” have been unearthed during excavations in Turkey, revealing the origins of the secularization of power and one of the first evidence of the birth of the state system. Discovered in Aslantepe in the eastern Turkish province of Malatya, the structure consists of an adobe platform, raised by three steps above the floor, on top of which burnt wooden pieces were found. “The burnt wooden fragments are likely the remains of a chair or throne,” excavation director Marcella Frangipane of La Sapienza University in Rome, told Discovery News. The 1992 find of a double grave during excavations at the Bartholomaeuskirche – generally known as the Frankfurt cathedral – wowed historians. Two children around four years old, one dressed and bejewelled in the style of Merovingian nobility – the kings who ruled the Franks (Germanic tribes) of western Europe in the early Middle Ages – and one cremated in a bearskin according to Scandinavian custom, were found buried in a single coffin under the cathedral. During their first Gernsheim dig last year, Frankfurt University archaeologists suspected that a small Roman settlement must have also existed here in the Hessian Ried. Now they have discovered clear relics of a Roman village, built in part on the foundations of the fort after the soldiers left. This probably occurred around 120 AD. At the time the cohort (about 500 soldiers) was transferred from the Rhine to the Limes, and a period of peace lasting until about 260 AD began for the Roman village (which was part of the Roman province of Germania Superior) with the "Pax Romana." Until a year ago, little was known about Roman Gernsheim even though Roman finds have repeatedly been made here since the 19th century. "We now know that from the 1st to the 3rd century an important village-like settlement or 'vicus' must have existed here, comparable to similar villages already proven to have existed in Groß-Gerau, Dieburg or Ladenburg," explains dig leader Dr. Thomas Maurer from the Goethe University, who has been going from Frankfurt to Southern Hesse for years in search of traces. He has published his findings in a major journal about the North Hessian Ried during the Roman imperial period. 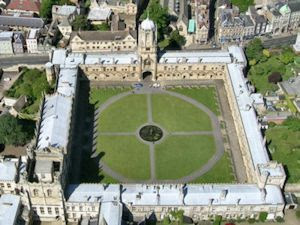 Archaeologists surveying a cathedral's precincts are hoping to uncover the location of its walled Anglo-Saxon predecessor. 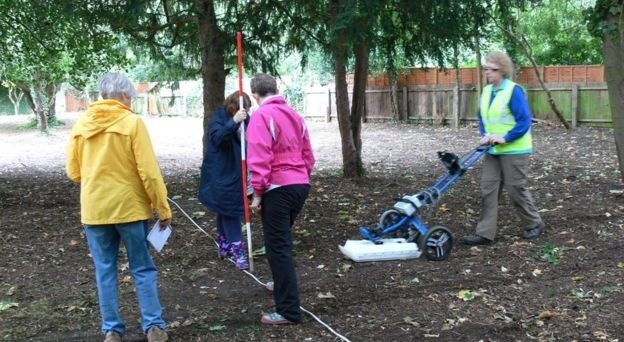 Ground penetrating radar is being used to survey the cathedral grounds [Credit: Peterborough Cathedral] Peterborough Cathedral was built by the Normans after the 10th Century abbey burned to the ground in 1116. Cathedral archaeologist Jackie Hall said the aim was to learn more about the Anglo-Saxon monastery because "we don't know enough about that". It is more than 30 years since a dig discovered a small area of wall. Dr Hall said: "They found the bottom of the wall, which was built out of bright yellow mortar and stone. A hoard of historic Viking treasure has been unearthed near Caernarfon in Gwynedd, Wales. The haul, which includes ancient ingots and fragments of coins dating back almost a thousand years to the time of King Cnut the Great, was found by treasure hunter Walter Hanks from Llanllyfni using a metal detector in Llandwrog back in March. 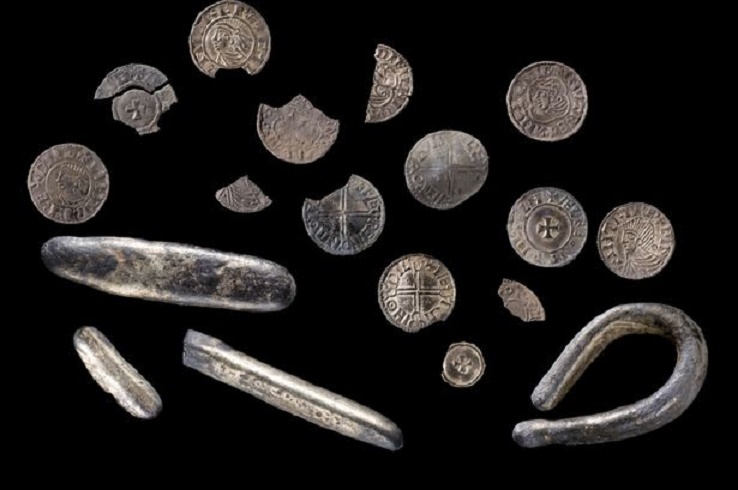 Part of the hoard of Viking silver found near Caernarfon [Credit: Robin Maggs] A total of fourteen silver pennies produced at Dublin under the Hiberno-Scandinavian ruler Sihtric Anlafsson (989-1036), which archeologists say are rarely found on the British mainland, also make up part of the find. Eight of the coins date back to A.D. 995 while the other six were believed to have been produced in A.D 1018. Experts believe that the hoard was purposely buried in the ground between 1020 and 1030 in a bid to store the silver - and could even have been used as part of a burial ritual. Earlier today, the astonishing discovery was officially declared treasure by the North West Wales coroner Dewi Pritchard-Jones during an inquest at Caernarfon. Archaeologists have described the site as having "huge potential"
Excavations of a Mesolithic site on Skye could give new insights into the lives of some of the island's earliest residents. 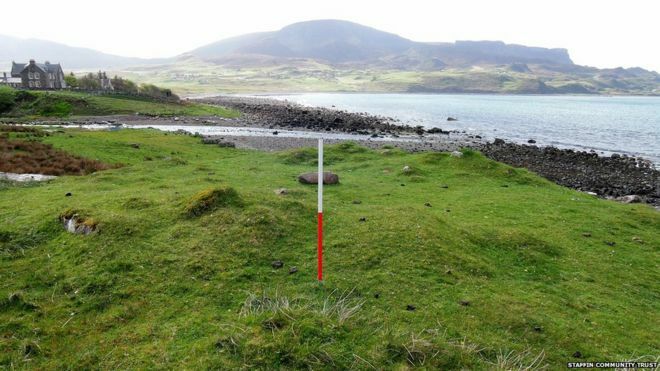 Archaeologists believe the location above Staffin Bay has the remains of a house that could be 8,000 years old. Mesolithic flints have previously been found in an area of eroded grazing land near the site. Archaeologists will work with Staffin Community Trust and volunteers in making small excavations. Archaeologists have discovered a 6th-century B.C. residence under a palazzo in central Rome, saying that it proves the ancient city was much bigger than previously thought. Officials said Wednesday that the area on the Quirinale Hill had long been thought to have only been used as a necropolis, with ancient Rome's residential zone further south and centered around the Roman Forum. But archaeologists excavating a palazzo on the hill said they discovered a well-preserved rectangular home, complete with wooden supports and a roof, proving that the area was also used for residential purposes. This is particularly surprising as the disease – caused by Vitamin D deficiency linked to lack of sunlight – is more commonly associated with the urban slums of Victorian Britain than with rural, farming communities, as existed in Neolithic Scotland. The nature of the grave itself – a simple burial rather than a chambered tomb – has raised questions as to how the woman, physically deformed by the disease, may have been treated by her community. Professor Ian Armit from the University of Bradford explains: “The earliest case of rickets in Britain until now dated from the Roman period, but this discovery takes it back more than 3,000 years. There have been a few possible cases in other parts of the world that are around the same time, but none as clear cut as this. While we can’t say for certain that this is the earliest case in the world, it is definitely very unusual. In a remarkable technical feat, researchers have sequenced DNA from fossils in Spain that are about 300,000 to 400,000 years old and have found an ancestor—or close relative—of Neandertals. The nuclear DNA, which is the oldest ever sequenced from a member of the human family, may push back the date for the origins of the distinct ancestors of Neandertals and modern humans, according to a presentation here yesterday at the fifth annual meeting of the European Society for the study of human evolution. Ever since researchers first discovered thousands of bones and teeth from 28 individuals in the mid-1990s from Sima de los Huesos (“pit of bones”), a cave in the Atapuerca Mountains of Spain, they had noted that the fossils looked a lot like primitive Neandertals. The Sima people, who lived before Neandertals, were thought to have emerged in Europe. Yet their teeth, jaws, and large nasal cavities were among the traits that closely resembled those of Neandertals, according to a team led by paleontologist Juan-Luis Arsuaga of the Complutense University of Madrid. As a result, his team classified the fossils as members of Homo heidelbergensis, a species that lived about 600,000 to 250,000 years ago in Europe, Africa, and Asia. Many researchers have thought H. heidelbergensis gave rise to Neandertals and perhaps also to our species, H. sapiens, in the past 400,000 years or so. An international team of scientists, including one from the University of Colorado Denver and another from the University of Colorado Anschutz Medical Campus in Aurora, announced the discovery of a new species of hominin, a small creature with a tiny brain that opens the door to a new way of thinking about our ancient ancestors.